Administrators of collapsed plant hirer Hewden have failed to find a buyer for the firm’s large crane fleet. Joint administrator Ernst & Young has now been forced to appoint auctioneers for a major fire sale of the large crane fleet and thousands of other items of construction equipment. All of Hewden’s plant assets are expected to take around four months to offload slowing down the recovery of funds for creditors of the ex-hire firm, which has been renamed HS Realisations in administration. The first of a series of planned auctions organised by Euro Auctions will start this month. The first be held in the south west of England on the 18-20 January, first at Redruth, then Newton Abbott followed by Swansea. The unreserved auctions of excavators, dumpers, rollers, telehandlers and other general equipment will taken place around the country culminating in a final sale at the Euro Auctions 60-acre sale site in Leeds later in 2017. Special interest is expected in a large consignment of 2015 and 2016 machines, many of which are still in warranty. 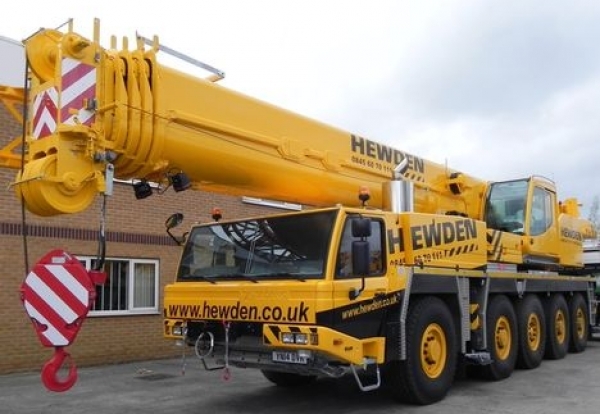 Hewden’s 127 mixed cranes and pieces of lifting equipment have been securely stored at various depots of the Hewden business across the UK. The full sale inventory will be posted on the Euro Auctions website in due course.